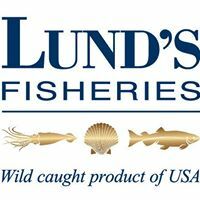 Our Seafood Market Scallops are noted as the World’s Best Scallops, our domestic scallops are natural chemical free and sustainably sourced. 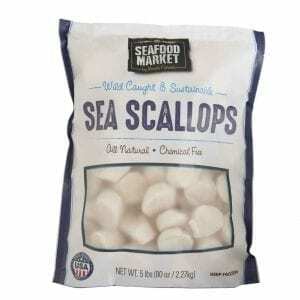 These scallops are a wild Caught Product of the USA and range from U-10 to 30-40. Our Seafood Market Faro Islands Sea Scallops are world class sea scallops in smaller sizes. 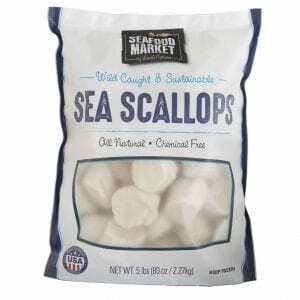 These scallops are MSC-certified and sustainable for over 75 years. Faroe Islands Scallops are available in 12oz, 14oz and 16oz options. Butter Garlic Sauce Scallops 10 x 16 oz. 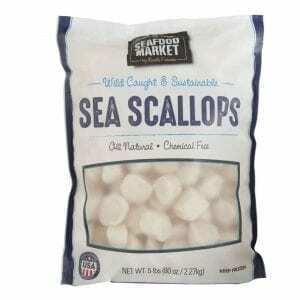 Spicy Asian Scallops 10 x 16 oz. 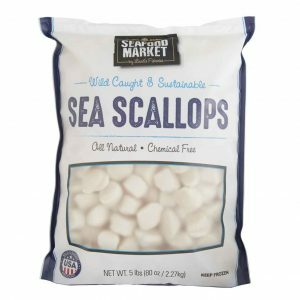 White Wine & Herb Scallops 10 x 16 oz. Bacon & Cream Sauce 10 x 16 oz. Sea Salt & Pepper Breaded Calimari RO 12 oz. Sea Salt & Pepper Calimari R&T Breaded 12 oz. Sea Salt & Pepper Breaded Calimari RO 20 oz. Sea Salt & Pepper Breaded Calimari R&T 20 oz.